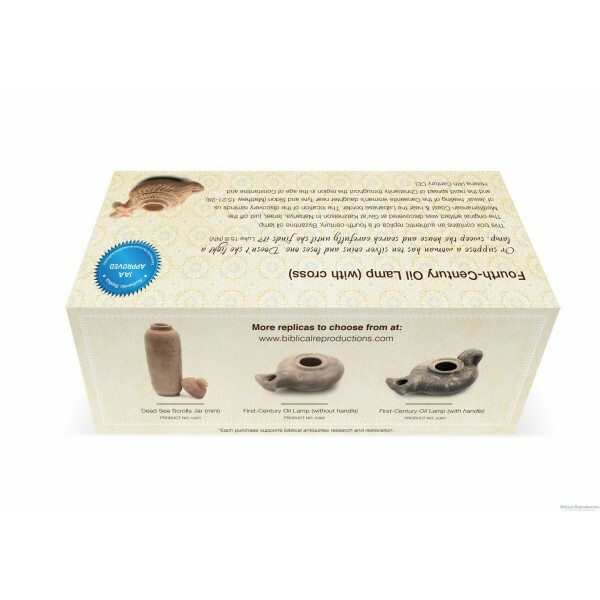 This item is an authentic replica of a fourth century Byzantine oil lamp. 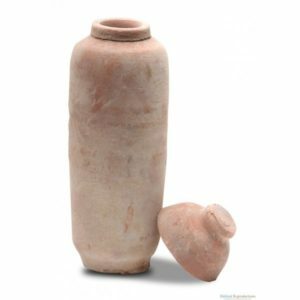 The original artifact was discovered at Giveat Katznelson in Naharia, Israel, just off the Mediterranean Coast & near the Lebanese border. 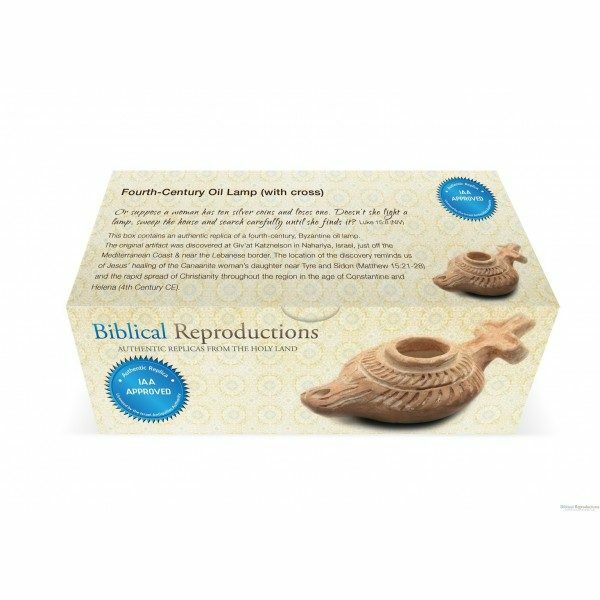 Authorized by the Israel Antiquities Authority. 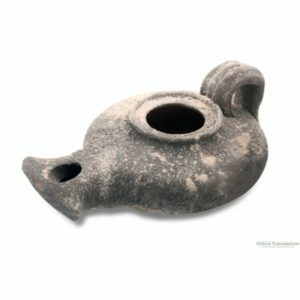 This item is an authentic replica of a fourth century Byzantine oil lamp. 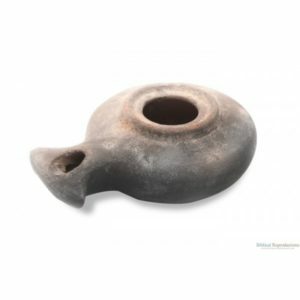 The original artifact was discovered at Giveat Katznelson in Naharia, Israel, just off the Mediterranean Coast & near the Lebanese border. The location of the discovery reminds us of Jesus’ healing of the Canaanite woman’s daughter near Tyre and Sidon (Matthew 15:21-28) and the rapid spread of Christianity throughout the region in the age of Constantine and Helena (4th Century CE). 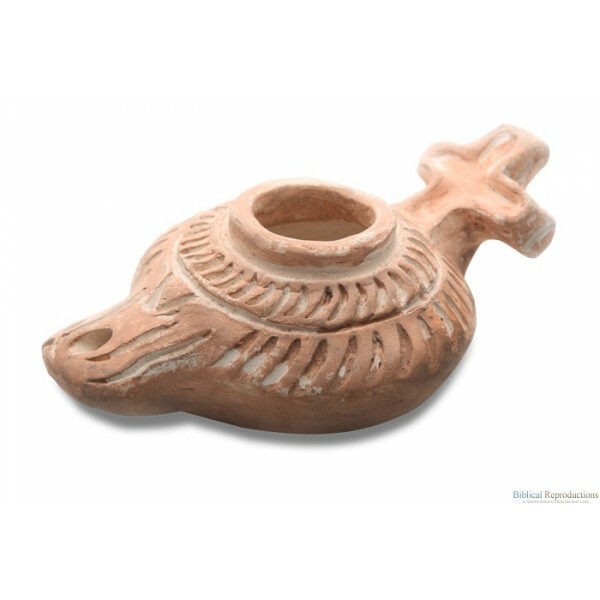 Materials: High-impact clay, furnace-fired and 100% hand-crafted in the Holy Land. 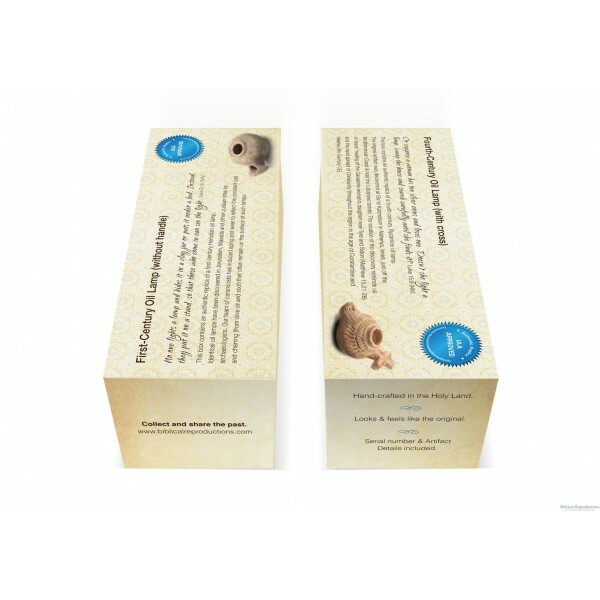 Includes: Detailed artifact description & serial number.